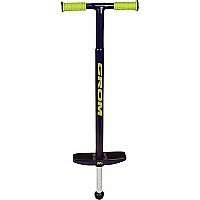 This is not your father’s pogo stick– not by a long shot! 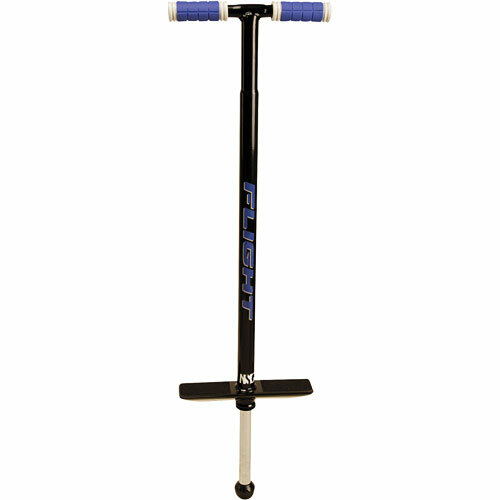 Technology has sprung the classic action stick into a new dimension, with a hydro-formed steel shell, industrial strength steel springs and a replaceable tip. Concealed low-friction spring technology gives a quieter, smoother, higher bounce–and there’s way more stability and control from the heavy-duty pressed steel foot-plates. 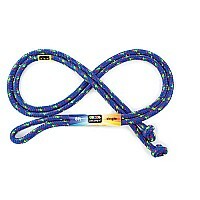 In all, a cooler, safer, radical advancement for beginners or tomorrow’s extreme athletes. 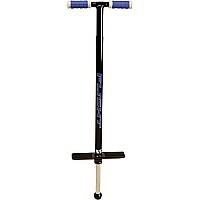 Flight Pogo Stick, black, for ages 9 yrs-teen, 80-180 lbs. Adult supervision and safety equipment suggested. 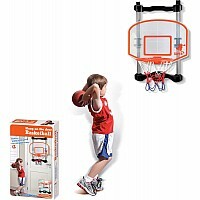 From National Sporting Goods Corp for ages 9 yrs-teen.